While there had been portable COD games before, none had managed to give you that console feeling in the palm of your hands. This was what nStigate Games were tasked with doing as Sony tried to convince the world that their Vita handheld could do all that a console could do. Declassified featured various, popular multiplayer game modes that you could play in 4 on 4 matches. The battles were not as large in scale as they were on console and people were not all that happy with the experience that it offered. Hostiles was an exclusive game mode and this was very similar to Survival Mode that was in Modern Warfare 3. With the idea being you had to survive wave after wave of enemies. In all Declassified was a very ambitious title at the time and it did show that the potential was there for a full on Call Of Duty experience in the palm of your hand. But it did not live up to expectations. With tacked on touch controls and a very rushed kind of feel to it, Declassified got many negative reviews on release. It would be the only COD game released for the PlayStation Vita. Which is a shame as the handheld perhaps could have given us that full COD experience on the go that many of us wanted. 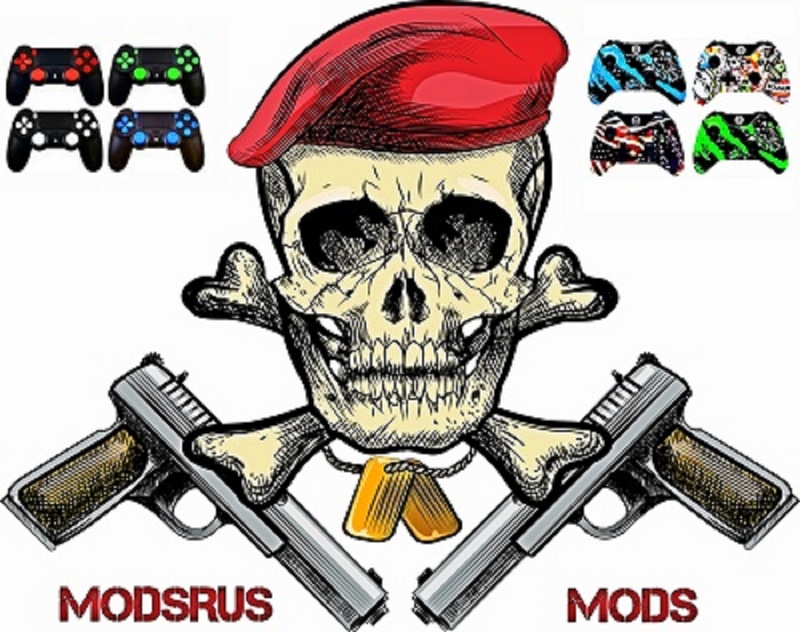 Here at Mods “R” Us, we love Call Of Duty and that is one of the main reasons we make sure our are modded PS4 controllers, modded Xbox One controllers and modded PC controllers designed with COD in mind! Join us as we look back on the history of Call Of Duty! Black Ops was Treyarchs follow up to World At War so it had some very big shoes to fill. Many fans were excited for Black Ops as it was set during the Cold War of the 1960’s. The game had a fantastic campaign that was about sleeper agents about to be awoken to carry out a chemical weapon attack on the USA. The story once again was very well written and played out like an action movie with some very cool location such as Vietnam, Russia and even the Arctic. Multiplayer mode was back and it was once again fantastic. With 14 different maps and a ton of different game modes, many of which actually required teamwork. The multiplayer in Black Ops was very well received. And the COD points you collected could be used to get more epic gear for your soldier. Zombies mode was back and man was this awesome you got to play as John F. Kennedy, Richard Nixon, Robert McNamara, and Fidel Castro and you had to defend The Pentagon from a zombie attack. This was just a ton of fun and would set the tone for the tongue in cheek style that the Zombies mode would have going forward. In all Black Ops was a fantastic Call Of Duty game that was critically acclaimed (even the Wii version got good reviews!) and it sold phenomenally well, even outselling Modern Warfare 2.